Battenberg lace, also called tape lace, is familiar to most of us. 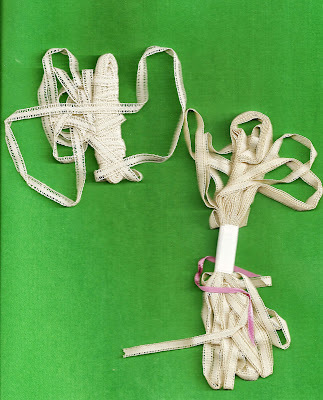 Tape laces are made on a foundation of fabric tape. 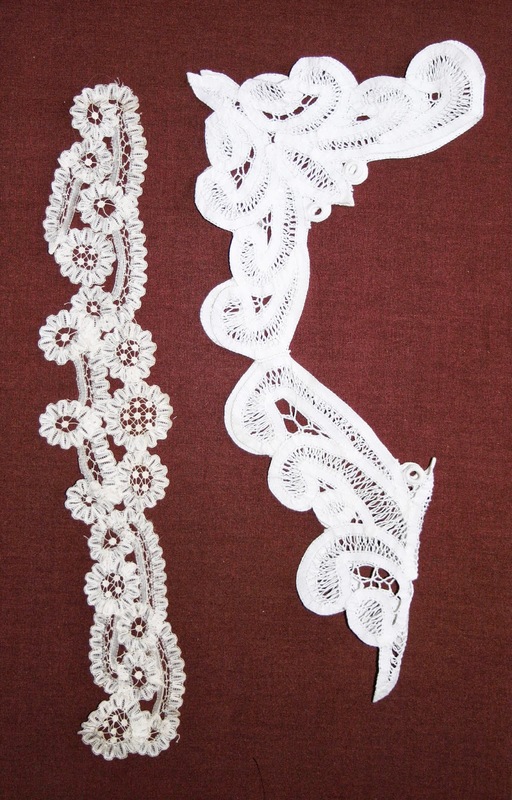 Originally, the tape was handmade needle-lace or bobbin lace, but since the industrial revolution commercially made tape has been available for purchase in varying widths. 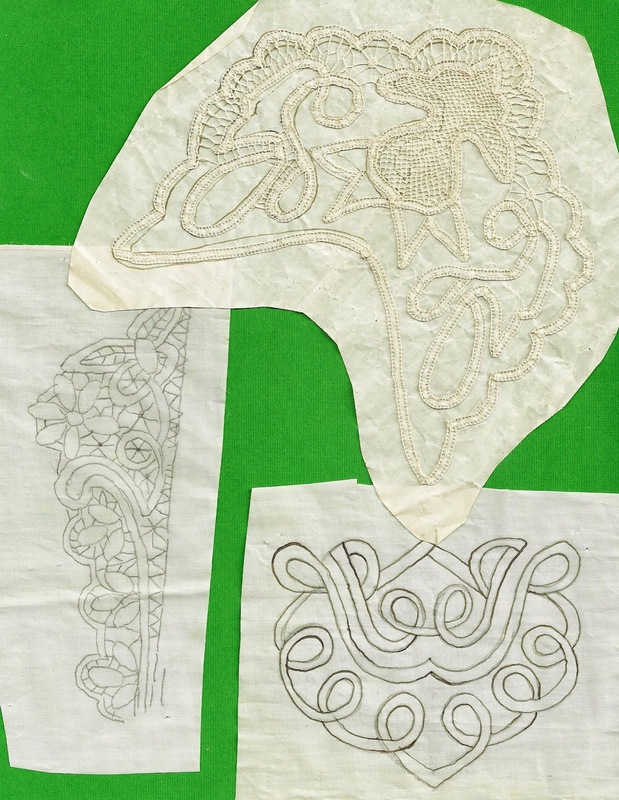 The tape is basted onto a pattern of either paper or fabric. 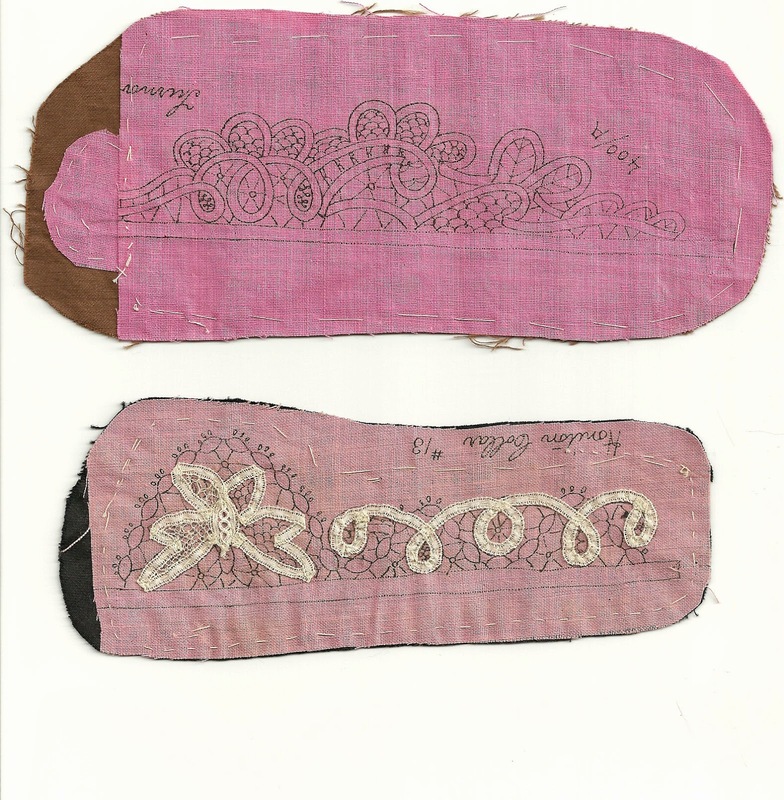 A sturdy thread on either side of the tape made be gathered to adjust the tape to the curves of the pattern. Then a variety of needle-lace stitches create the lace-like filling in the areas between the tape outline. 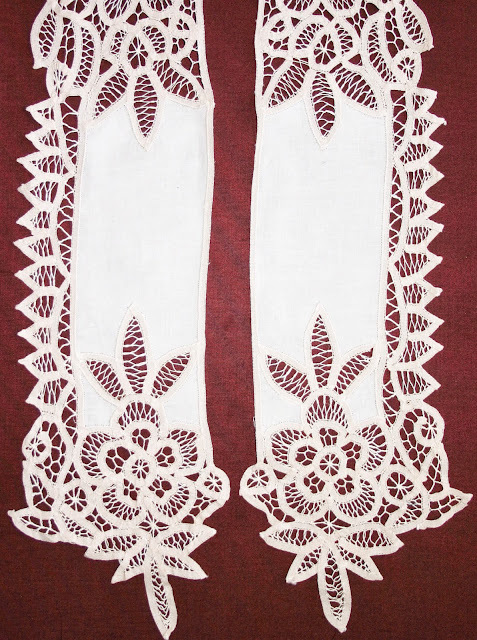 Stitches include, but are not limited to, buttonhole, bar or “bride” stitches, Russian stitch and net stitch (along with many variations of the above stitches). 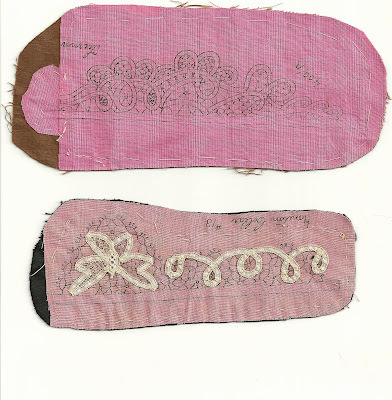 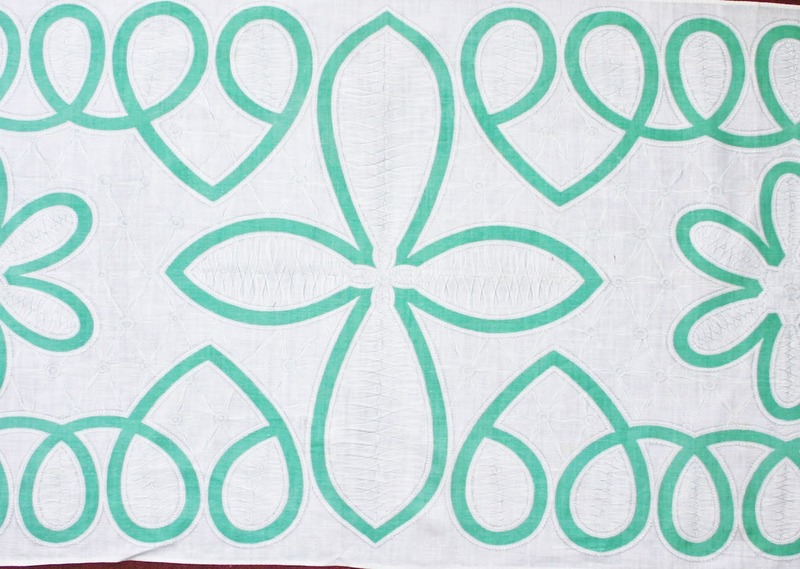 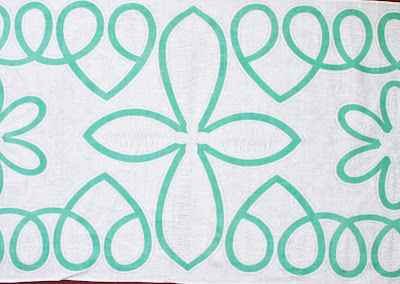 These filling stitches do not pierce the ground fabric but form a cohesive fabric that is connected to the ground by the original baste stitches securing the tape. Once the design is finished, these basting stitches are removed and, voila!, you have a piece of lace to be used as a corner piece for a collar or hankie or appliqué or insertion for a dress bodice. 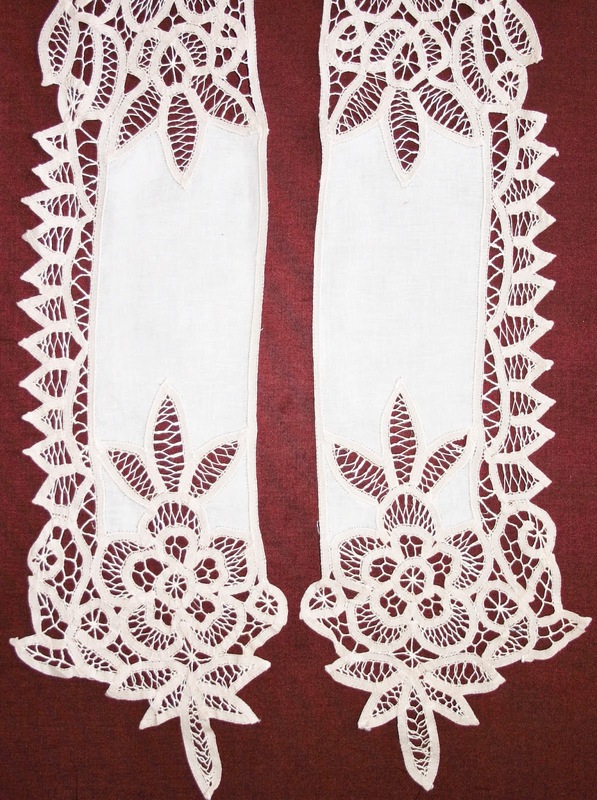 In modern applications one could use a sewing machine to produce the filling stitches, using a dissolvable ground that is rinsed from the lace. 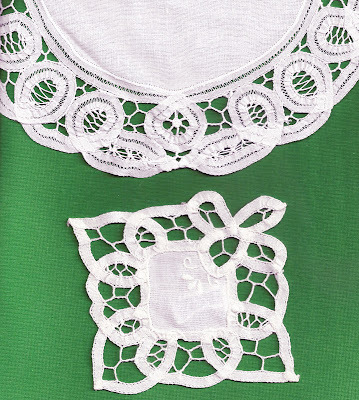 pattern labeled "Honiton collar #13"
For needleworkers of all levels, this type of lace can be made over a weekend.